Professor Thomas Fleischner and his colleagues at the Natural History Institute at Prescott College, and across the United States, are working to highlight the importance of field studies for teaching biology. Here, we discuss why the decline of field studies should not be taken lightly, and several steps that can be taken to assure a vibrant future for fieldbased education. Traditionally, field studies have been an essential component of the pedagogical toolbox, but in recent years their use has seen steady decline. Field studies are crucially important, especially in the biological and earth sciences. Professor Thomas Fleischner is a Professor and Director of the Natural History Institute at Prescott College, Arizona, where he teaches natural history, ecology and conservation biology. In addition to his work in environmental studies, he frequently works at the fringes between disciplines, looking at the interactions between science and public policy. He believes that field-based education is a crucial part of a biologist’s training, and that natural historians have a responsibility to assert its importance. Why is field education important? To use an analogy, learning to play the piano involves listening to the music of others and an understanding of music theory. However, these aspects alone are of little use to an aspiring pianist without them physically putting their fingers to the keys and practising. Similarly, in the life sciences, there is a difference in the way students contextualise information when they observe life in its natural environment, rather than in the laboratory. In many biological subjects, the lab is appropriate and entirely necessary, but for others, such as the study of animal behaviour, there is no substitute for observations made in the animal’s natural habitat. These experiences can instil a far greater connection between students and the biological world, compared with those in the lab or the classroom. The complexities of evolution and ecology are also better appreciated when observed directly in the context of the natural world, rather than – for example – in a schematic diagram of a food-chain. Professor Fleischner and colleagues argue that some of the most pressing socio-economic issues, and their solutions, lie at the intersection between culture and nature – where field biology takes place. In addition to learning directly from the natural environment, students learn more fully and more deeply from their instructors and each other, as well as local residents and working professionals. Students are often more receptive to novel experiences when taken out of their usual environments, with analyses showing that content and skills are often better retained following field-based courses compared to lab-based ones. It has also been recently reported that ‘interesting course content’ was the single most important factor behind students choosing field courses. So not only do students appear to learn more effectively on field courses, but they also enjoy them. Therefore, it is not an unreasonable logical leap to suggest that these factors are almost certainly linked. In the face of climate change and the loss of biodiversity, society often looks to scientists to mobilise appropriate responses. If upcoming generations of biological scientists are increasingly divorced from a connection with nature, their responses to these issues might be lacking in enthusiasm and be less effective. 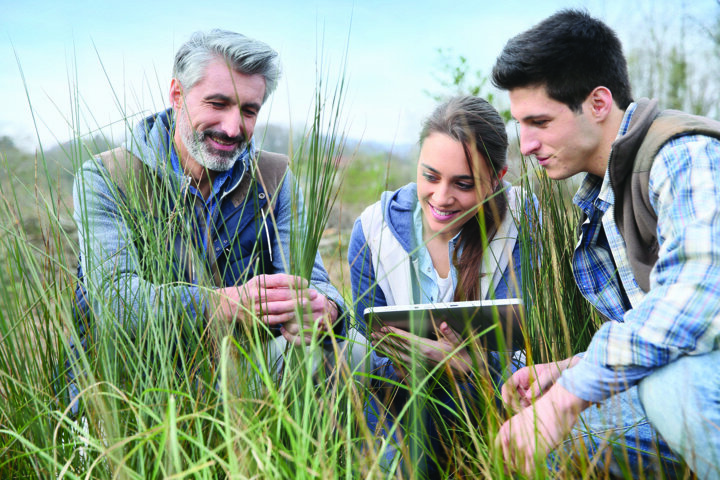 Increasing the use of field studies in college courses could be an ideal way to better instil this connection in our future scientific leaders. Concerns regarding risk assessment in various aspects of life can often seem tiresome. Though annoying, risk assessment is usually implemented for people’s benefit. However, the extra paperwork involved in organising a field-trip to the jungle for 30 students is not a trivial matter for an already overworked academic, and is undoubtedly a factor when deciding whether or not to conduct a field course. This aversion to health and safety paperwork is one factor, in addition to the logistical, financial, and legal challenges of organising a field-based course, that contributes to their decline. Although the demand for field-based studies often exceeds supply, many life-sciences students mistakenly believe that field studies are less useful in enhancing employability, compared to laboratory-based classes. 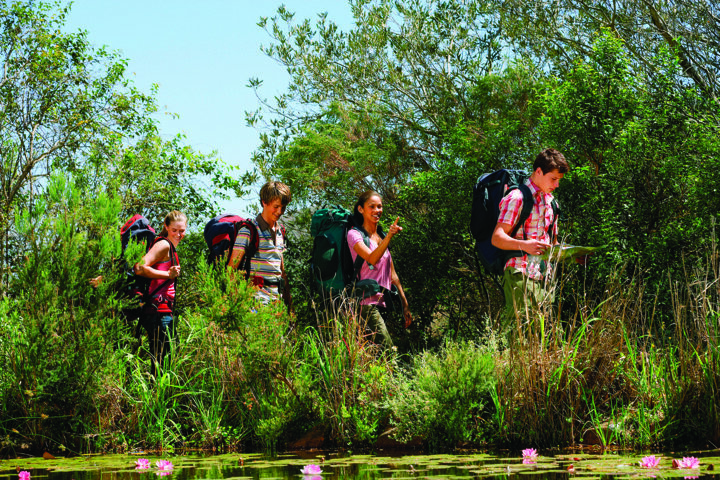 Student attitudes may also be partly to blame for declining field studies when we consider the way the world is becoming increasingly urbanised, and with childhood exposure to nature diminishing. Modern students are perhaps less likely to feel a connection to the natural world outside of cities, and may feel that environmental issues are irrelevant when compared with those of social justice or the economy, in spite of the inseparability of social and environmental challenges. The decline in the use of field studies at some institutions may be reflective of these societal shifts, and undergraduate participation in field studies may often be unrepresentative of real cultural diversity. Professor Fleischner and colleagues argue that some of the most pressing socioeconomic issues, and their solutions, lie at the intersection between culture and nature – where field-biology takes place. While students from rural or even suburban upbringings may feel little concern about the challenges associated with a field-based study, students from an urban environment, who may never have spent a night in a tent, may find the prospect of field work to be a source of anxiety. Female students may also have concerns if the class consists of a male majority, while students with disabilities could be discouraged from partaking if their disabilities are difficult to accommodate. Some of these issues are at least partly culture-specific. Professor Fleischner and colleagues note that scientists and institutions in North America have been slow to acknowledge declining field-based experiences, compared to those in the United Kingdom, for example. However, as of March 2016, the US National Science Foundation funded Professor Fleischner and the Natural History Institute to convene a working group with the specific purpose of addressing this issue and offering potential solutions. The project’s title was ‘The Decline in Field Studies: Proactive Strategies for Essential Training for the Next Generation of Biological Researchers’. With regard to changing student attitudes, the teaching of field courses needs to become more relevant and accessible in our rapidly changing world. All students should feel welcome to take part in field-based courses designed to acknowledge, respect, and accommodate their various backgrounds and needs. Professor Fleischner and colleagues feel that this will not only benefit the students who broaden their horizons by taking part, but that the field courses themselves will be enhanced by these diverse perspectives. Teaching staff may be enthusiastic about field-based education, and appreciate their importance to the personal development of students, but at the same time feel unqualified or lacking in confidence to organise and lead such activities. Aside from the logistical technicalities, the pedagogical techniques required in a field setting are different from those needed in the classroom. Teachers, like students, require guidance and support, and those who have experience in this area should take the initiative in mentoring their less experienced colleagues. Institutions hoping to increase their use of field studies would need to ensure that academic staff are granted the time required for this mentoring and development. Rather than decrying the logistical and risk-assessment hurdles of field study preparation, Professor Fleischner and colleagues hope that researchers will become more engaged in the conversation at the institutional level, and approach these regulatory aspects from the ground up. Easy access to training should be provided, to teach course organisers the relevant skills required, such as risk management and dealing with interpersonal issues like sexual harassment and cultural tolerance. 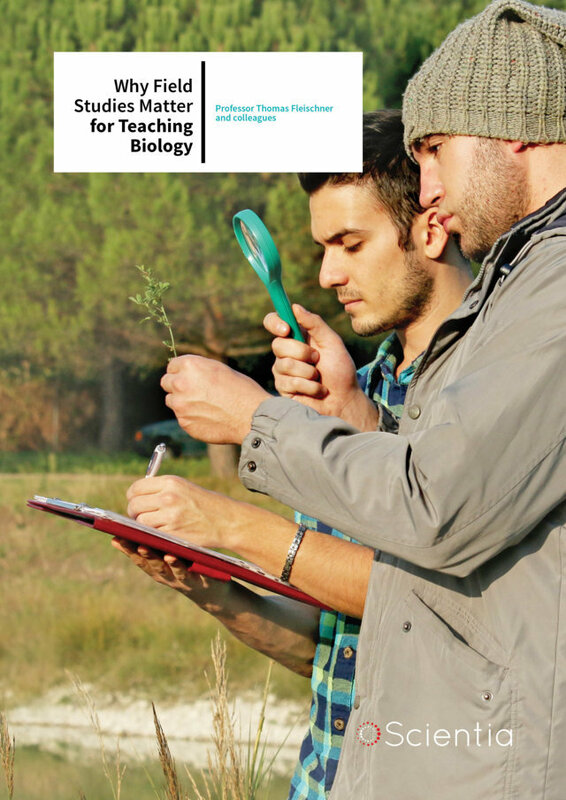 Professor Fleischner and colleagues propose that not only should all biology students be required to complete a field-based course during their studies, but also that teaching staff should attempt to teach at least one field-based course during their career. One incentive for teaching staff could be for institutions and professional societies to create distinguished teaching awards specifically for field-based instruction, not necessarily limited to the life-sciences. Institutions could also modify budget allocations to include a mixture of classroom, laboratory and field-based experiences on appropriate course modules, and revise curricula to ensure students engage in all three settings. When considering whether to run a field course, many instructors will not stray too far from a generally accepted concept of what constitutes ‘the field’. Professor Fleischner and his colleagues believe that it would be of great benefit to expand this definition to include more diversity, such as urban neighbourhoods, feral fields, zoos and botanical gardens. Professor Fleischner and colleagues assert that restriction of ‘the field’ to wildland settings may be both unrealistic and irresponsible, and that expansion of its definition could help with the logistical, economic and institutional hurdles described above. He suggests that rather than venturing all the way to the wilderness, observations can be made in an urban setting. This could include evaluating the diversity of pollinating insects in urban farm plots, studying foraging peregrine falcons, recording the dawn chorus of birds and camera trapping rodents and other urbanised mammals. While these experiences might still be limited in comparison to studies performed in a more traditional field setting, they can at least pique the interests of students and teach them the basic skills required for field study, such as observation, recording data, interpretation and exploration of nature. Teaching students about the nature around them in urban and suburban environments, and how their investigations can answer fascinating biological questions can help them to re-envision these places as being inclusive in nature. This realisation that nature is not only something that occurs outside of a student’s immediate environment can help build their connection with the natural world and engage with the life sciences in a way they might not otherwise if they learned only from the classroom and laboratory. In order to prevent, and even reverse their decline, field studies need to become more available, inclusive and relevant to the modern world. 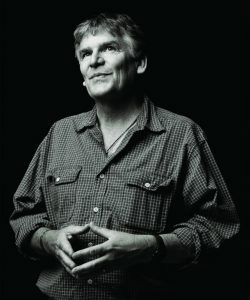 Professor Thomas Fleischner completed his first degree in Field Biology in 1977 at The Evergreen State College and achieved his PhD in Environmental Studies in 1998 at The Union Institute. He co-founded the North Cascades Institute in Washington State and is currently Director of the Natural History Institute and a Professor at Prescott College, Arizona. Here, he has taught in the interdisciplinary environmental studies program for the last 29 years. In addition to courses in natural history, ecology, and conservation biology, Professor Fleischner’s teaching covers a broad range of disciplines including creative writing, environmental politics and ecopsychology. He has written two books – Singing Stone: A Natural History of the Escalante Canyons and Desert Wetlands, and edited two others, The Way of Natural History, and Nature, Love, Medicine: Essays On Healing In Wildness, which is currently in press.